At a maple bench stood young man proud. He’d flown a camel; they’d called him an Ace. With a brush and plank she painted the fates. The rest of their lives were never the same. His joie de vie remains in this plane. While I drove home from the antiques show, the little English hand plane sat patiently in the passenger’s seat. What tales could it tell? I could only imagine. 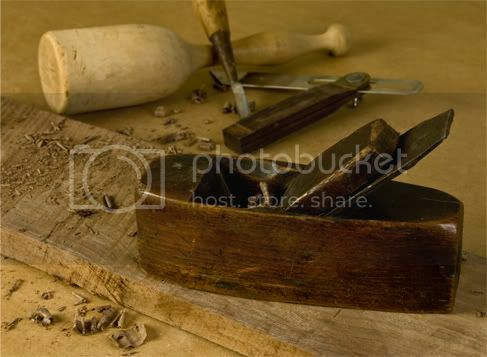 I don’t know anything about hand planes, except that they seem to be incredibly handy to have around. I watch videos online and see people using them. The other day, when I was buying the Jet 1000B air filtration system, I asked the salesperson if they sold hand planes. He said they only had a couple, because people don’t use them much anymore. 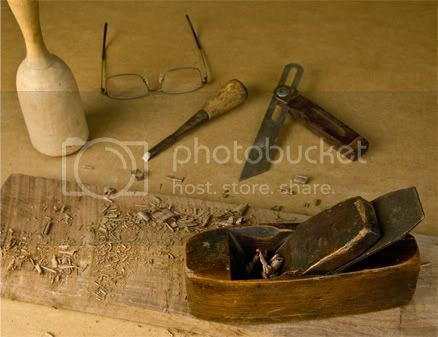 This might be true among home builders and carpenters, who likely make up most of his clientele, but it seems to me, that woodworkers still treasure their planes. I could tell that the little plane was worried that he might be destined for some sort of knick knack shelf, for he had been travelling to antique shows for some time, and knew the fate of the tools sold at these places. When I removed his blade and began to run it back and forth across the wet stone, he purred with delight. They years of neglect fell away and the blade slowly began to come to life. As the metal changed from black to grey, I could tell that the little plane was feeling hopeful that he might again taste the sweet wood which gave his life meaning. After 40 minutes of working on the blade, the anticipation for the little plane was causing it to fidget and fuss a bit, so I decided that the blade was sharp enough for now. I put the blade back into the plane and we went downstairs. As soon as he saw the workshop and a piece of rough cut walnut sitting on the workbench he yelped with delight. I explained to the little plane that I had never used one before, but he didn’t seem to care at all. I ran him across the board and tiny bits of wood began to come up. I adjusted the blade and he bit into the wood bringing up small shavings. Yummy! We played together on the walnut for a while. When I sensed that all my little plane’s fears were gone, I told him that I intended to continue to work on him, to make his blade sharper. I promised him that I will make sure, that no matter how many planes I get over time, I will always get him out and let him have some fun too. My little English plane was happy and so was I. After the post ‘She took my breath away’, some of the readers expressed disappointment that it didn’t have a happy ending. I hope you like this one better. If time permits, try to collect “The Handplane Book”, by Garrett Hack. It will change the way you view handplanes (probably). Great book. You can’t go wrong with a great book; avoid junk (i.e. do your homework). Incidently, I recently talked to someone from Veritas/Lee Valley at a woodworking show. He kindly gave me a “priceless” 10-15 minute lesson on surfacing a new table. Much of the detail I didn’t know concerned ways to grind the blade (for instance, to emulate a “scrub plane” with a #5). I’m forced to conclude that there is much more to using handplanes than meets the eye. Somehow this makes me want to learn even more. One of the books I purchased recently is ‘Working with Handplanes’, from Fine Woodworking Magazine. I can’t imagine having too many books on hand planes, so I will likely give Mr. Hacks book a read too. Thanks for the suggestion. Brian, I’m sure the book for have is very good. I would probably like it alot. I’m currently reading about 8 books related to woodworking, not including magazines and catalogs…no kidding (thank goodness for bookmarks and the library!). Garrett Hack’s book, aside from containing lots of applicable facts, reads as much like an encylopedic history. Thus, I think owning both books is justified. One that I added to my “wish list” a few months ago is “Making and Mastering Wood Planes, by David Finck. Of course, you mentioned that you picked up a good deal of instructional materials recently. As long as you are writing, I hope that you might provide the followers of your blog with informal reviews of the resources you find helpful! I will do that. I have already reviewed the Sam Maloof DVD, and as soon as I watch another one, or finish one of the books, I will let everyone know what I think. Thanks Brian. Always fun to read your stuff. It is well worth the time to learn about handplanes. Great post on the plane Brian. I couldn’t help but notice the Festool with the extremely sharp teeth is female while the little plane who wants to play is male. I get the feeling that I am not the only one with relationship issues…. I am pleased to make your Acquaintance, I just ran accross your blogs tonight and am extreamly impressed. Great prose, and the poetry aint bad either.